A picture book based on the major new movie, Peter Rabbit, hopping into cinemas in March 2018. Inspired by the original Beatrix Potter tale, but with a fresh, modern twist, this is Peter Rabbit as you've never seen him before. A full-colour picture book based on the major new movie, Peter Rabbit, hopping into cinemas in March 2018. Brave Peter Rabbit is sneaking into Mr McGregor's garden again. Only this time he is caught red-handed! A tale of adventure, daring and mayhem! Based on the action-packed Peter Rabbit movie, this picture book lets fans relive the fun of the film. Also look out for the Peter Rabbit Sticker Activity book, and the chapter book, Peter Rabbit, Based on the Major New Movie. 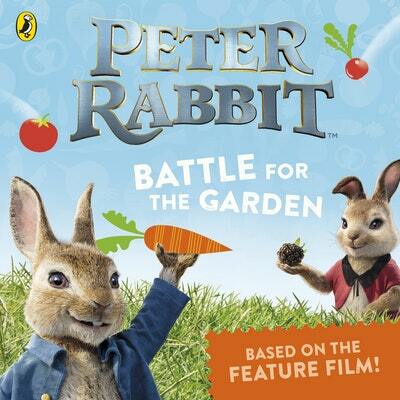 Love Peter Rabbit The Movie: Battle for the Garden? Subscribe to Read More to find out about similar books.